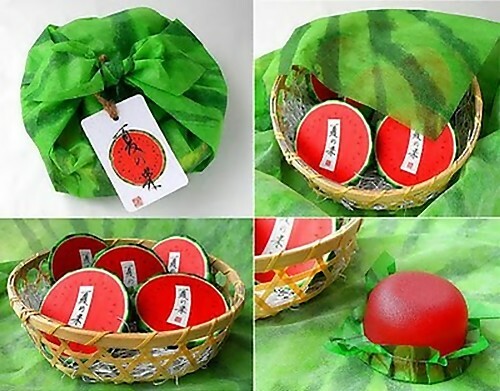 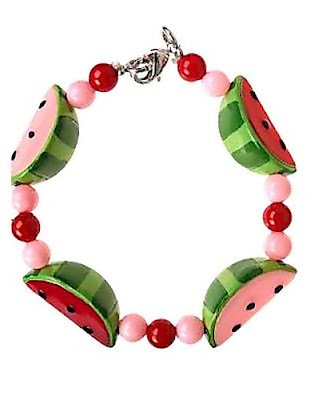 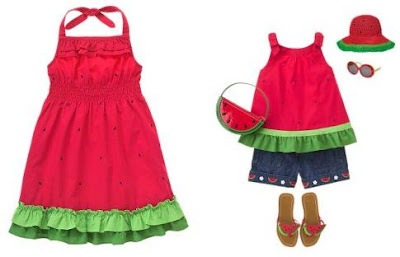 Cool watermelon products and creative watermelon designs from all over the world. 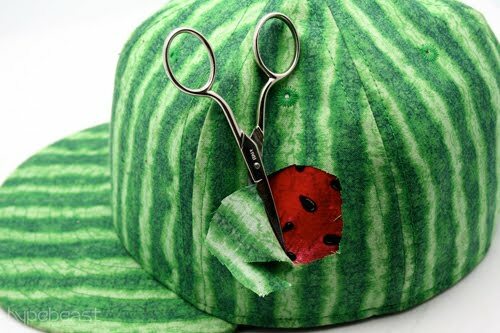 Watermelon Cap: The exterior of this cool cap features a detailed print of the outer layer of a watermelon, while the interior comes complete with seeds. 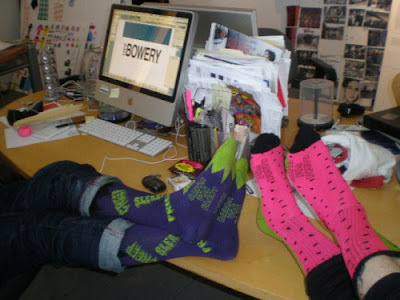 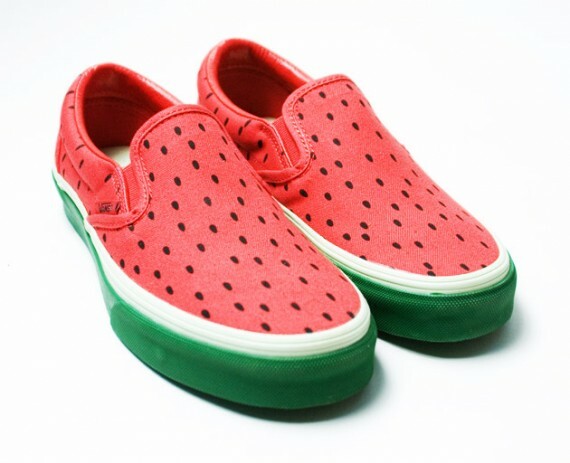 Watermelon Socks: Cool watermelon inspired socks by Baron. 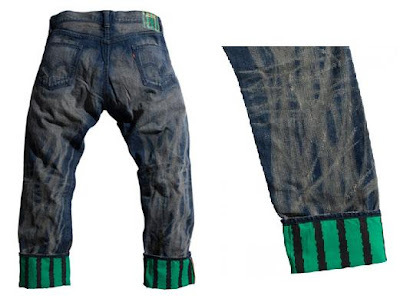 Watermelon Jeans: Wear the exterior of the fruit on your jeans! 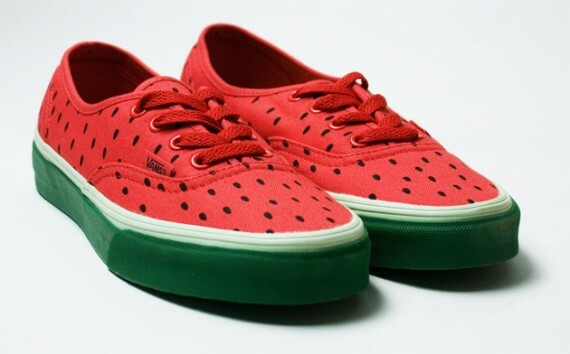 Vans Watermelon Pack: The uppers of all the three are a delicious pink canvas with black printed seeds while the outsole is green like the fruit's outer rind. 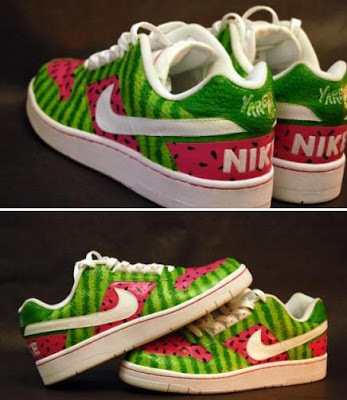 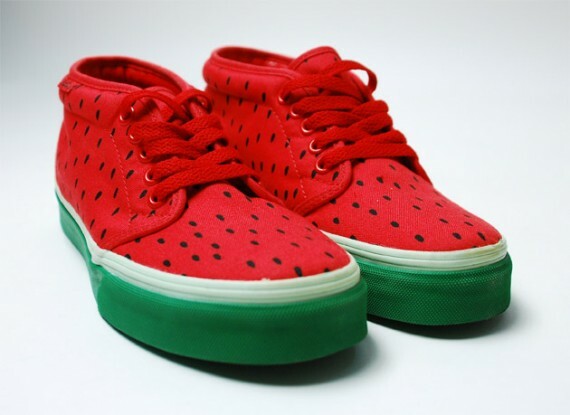 Nike Watermelon Sneakers: This watermelon inspired sneakers design is the creation of artist/designer Mike Perry. 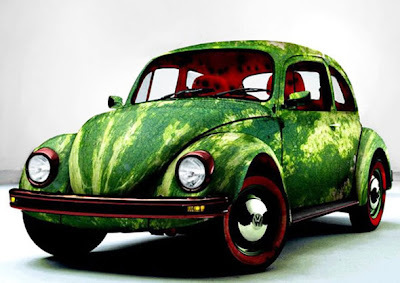 Watermelon Inspired Cars: Here we have a watermelon inspired Volkswagen Beetle. 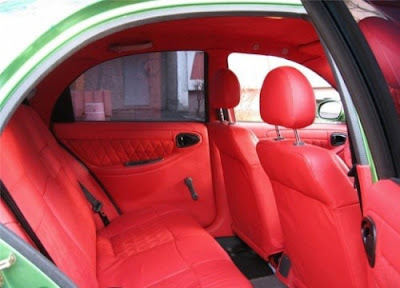 Watermelon Inspired Daewoo: This watermelon car is complete with a bright red interior though seedless. Yet there are a few black pieces that are sure to complete the theme. 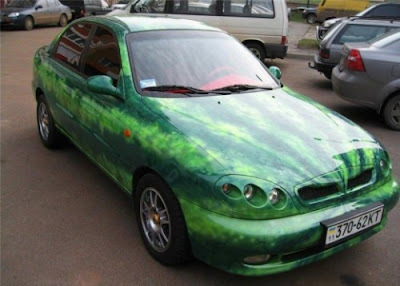 The paintwork is actually really well done, creating this watermelon-themed Daewoo. 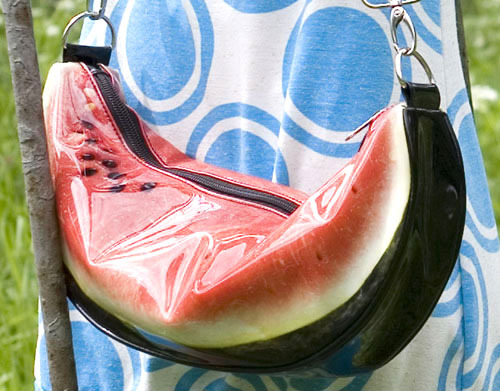 Watermelon Bag: This cool handbag inspired from watermelon slice is the perfect fashion accessory for the summer. 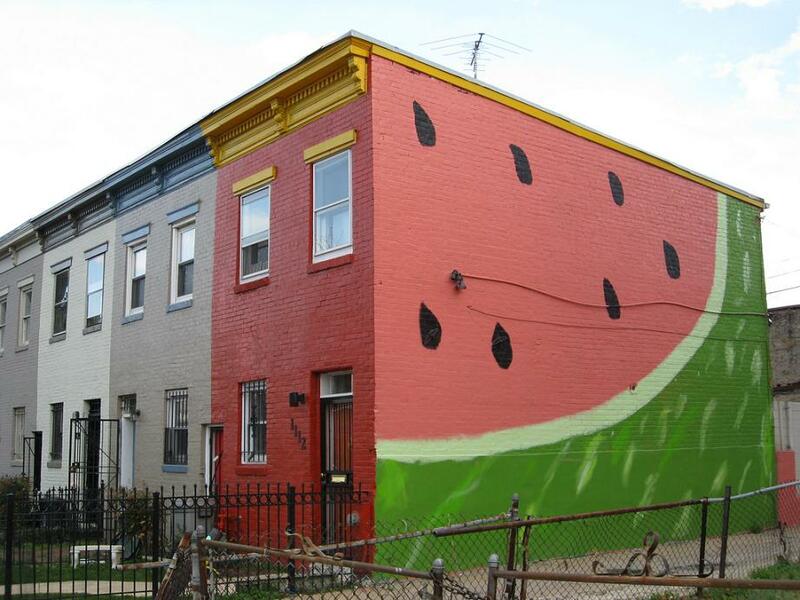 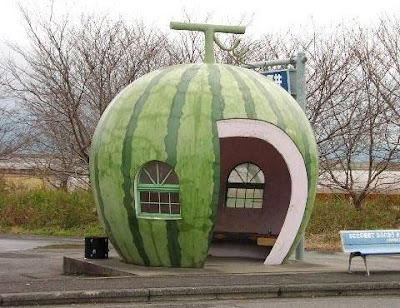 The Watermelon House: This house on Q Street Northwest has a huge slice of watermelon painted on the side. 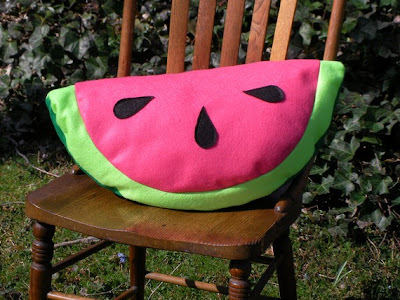 Watermelon Pillow: This oversized pillow with pink felt watermelon and black seeds look cool on a porch, hammock, chair, or a sunny corner. 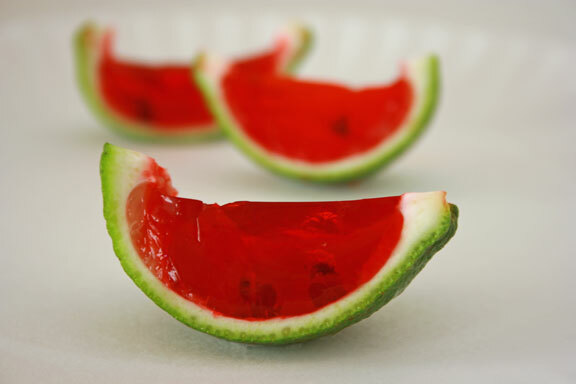 Petite Watermelons: These "Watermelons" are a cool treat to make for kids' tea parties with their dolls. 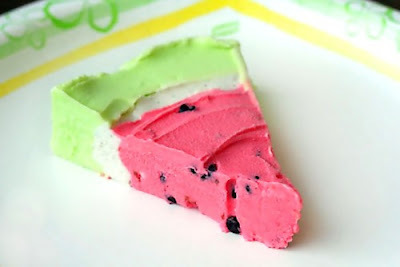 Watermelon Pie: Kids are sure to enjoy these cool looking pies. 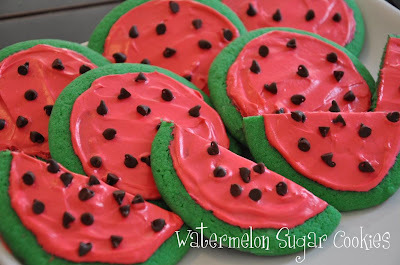 Watermelon Sugar Cookies: Another interesting treat for kids. 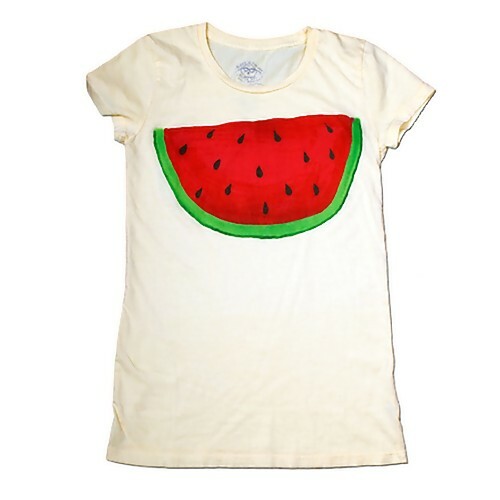 Watermelon T-shirt: Cool t-shirt with watermelon print on it. 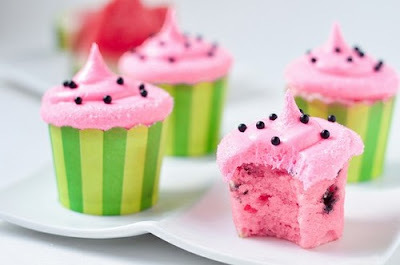 Watermelon Cupcake: Looks cute and delicious. 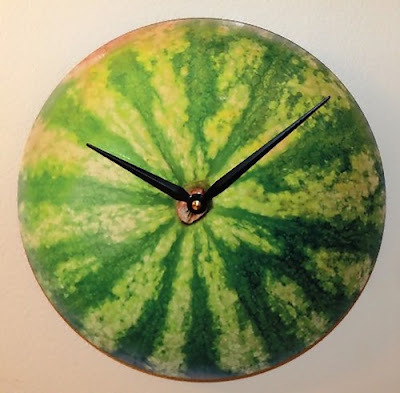 Watermelon Clock: Original photograph of watermelon is printed on dense wood composite material for this clock and it has a washable face and is ideal for kitchen use. Watermelon Packaging : The packaging of these watermelon products cleverly indicates the flavor it contains and mimics the fruit. 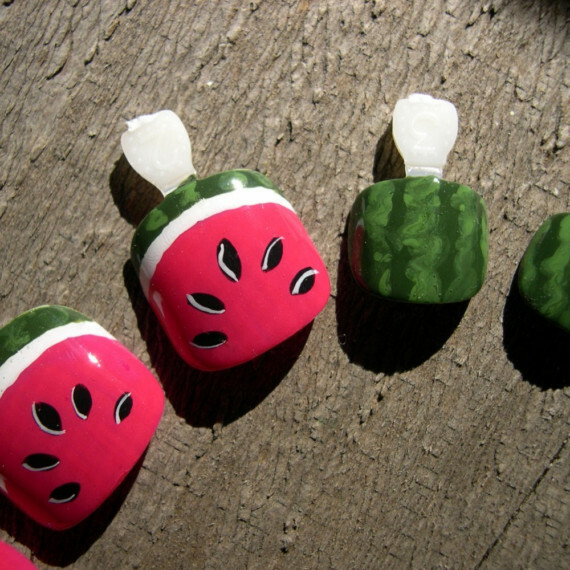 Watermelon Toenail Art: These are hand painted, durable, wearable art and jewelry for your fingertips and your toes too. 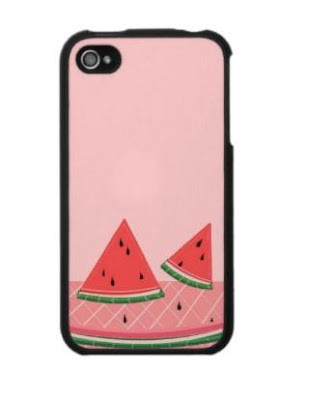 Watermelon iPhone Case: Cool watermelon printed case for your iPhone. 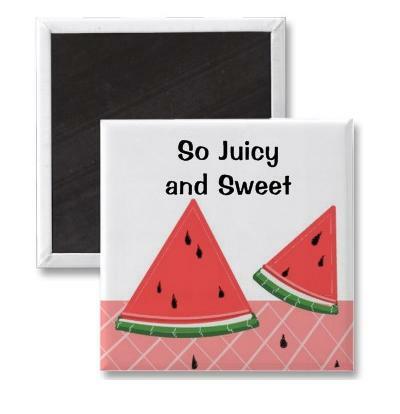 Watermelon Magnet: An interesting magnet for your fridge.